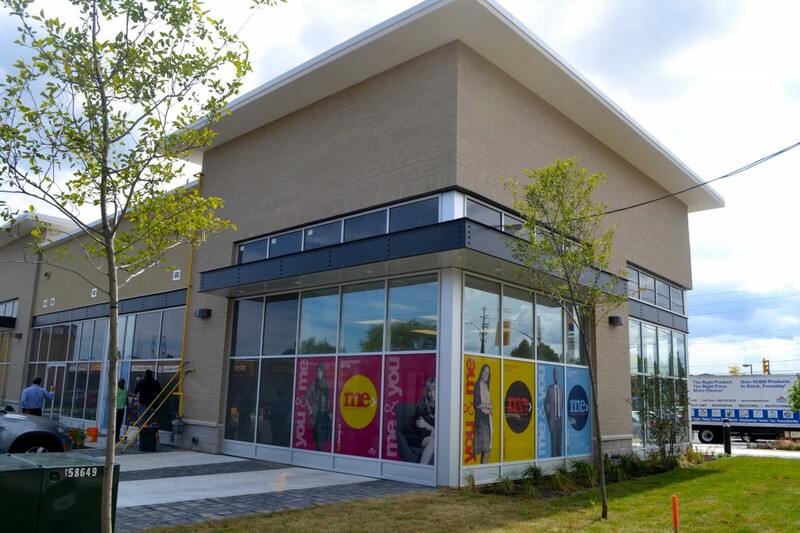 The fence is down and construction is complete at the Me Living sales centre, located at Markham Road and Ellesmere Avenue. 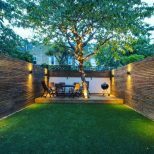 Senior Director of Development and Construction at Lash Group of Companies, Serge Mazzuca, has only a few finishing touches to complete before he and his crew hand over the sales centre to the marketing team. We already took you through the innovative features the sales centre will house and on our most recent visit we were able to see some of them for ourselves. Both model suites are complete and waiting to be decorated. 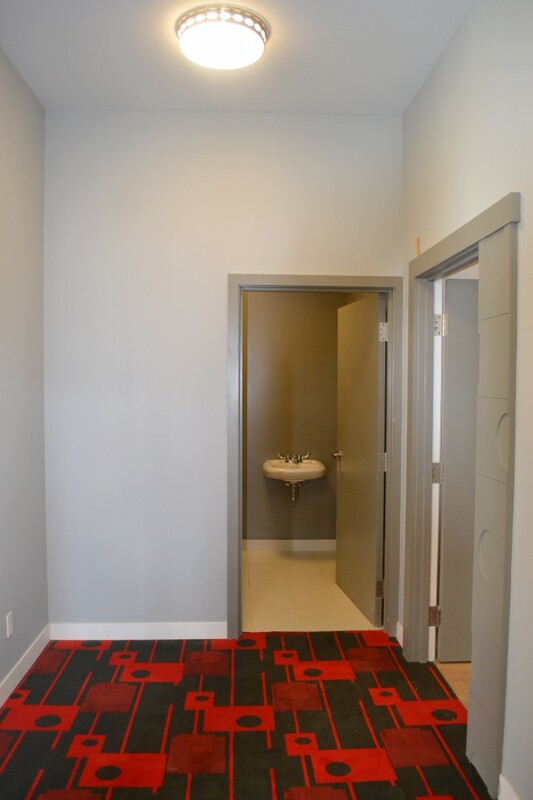 The front entrance boasts unique flooring flown in from California that visitors will undoubtedly love. 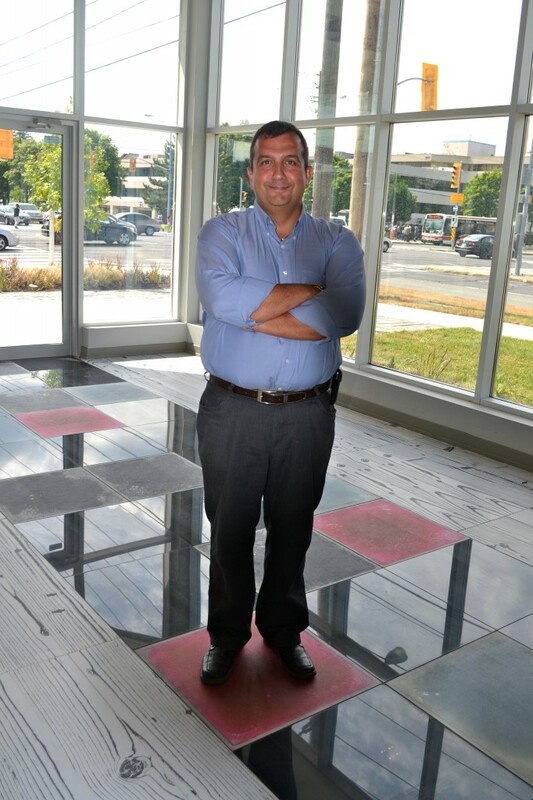 Scheduled to open in September, the Me Living sales centre is already receiving plenty of attention from area residents who are knocking at the doors trying to get a sneak peek. 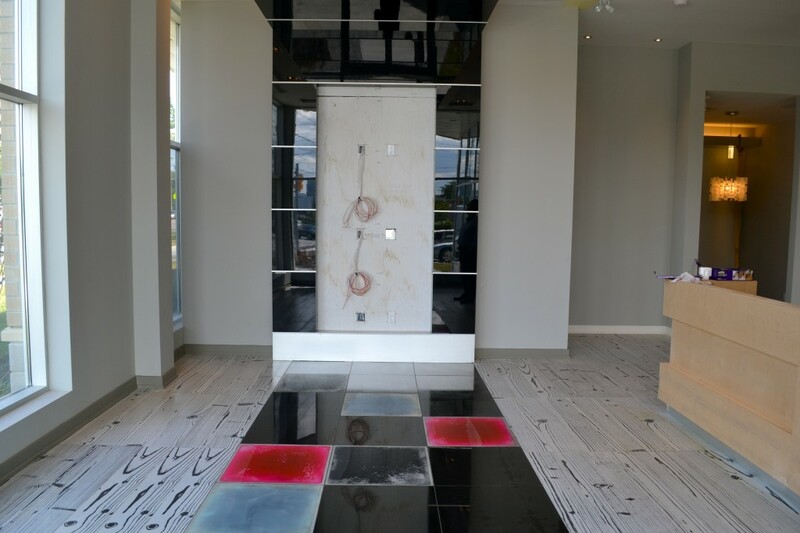 A must-see at the sales centre are these liquid motion colour tiles that are very cool, and a lot of fun to step on. The main presentation room is setup and waiting for its massive scale model to arrive. 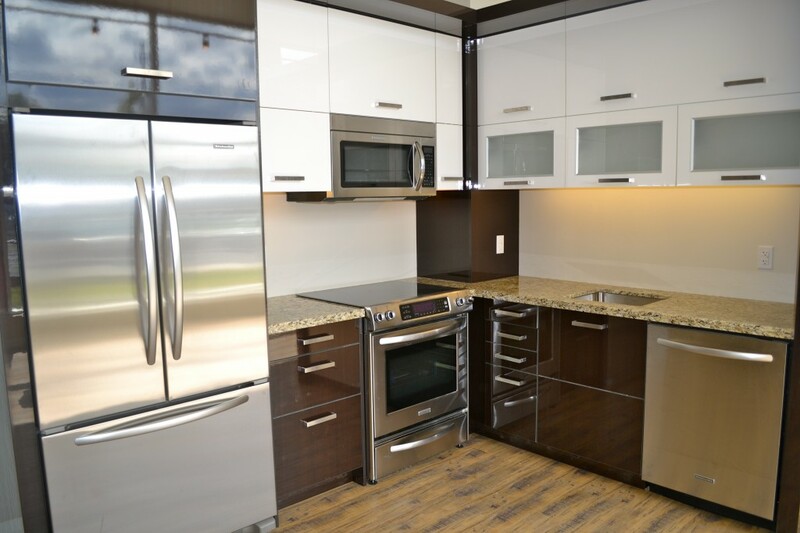 The kitchen in the upgraded model suite is complete and looking sleek. 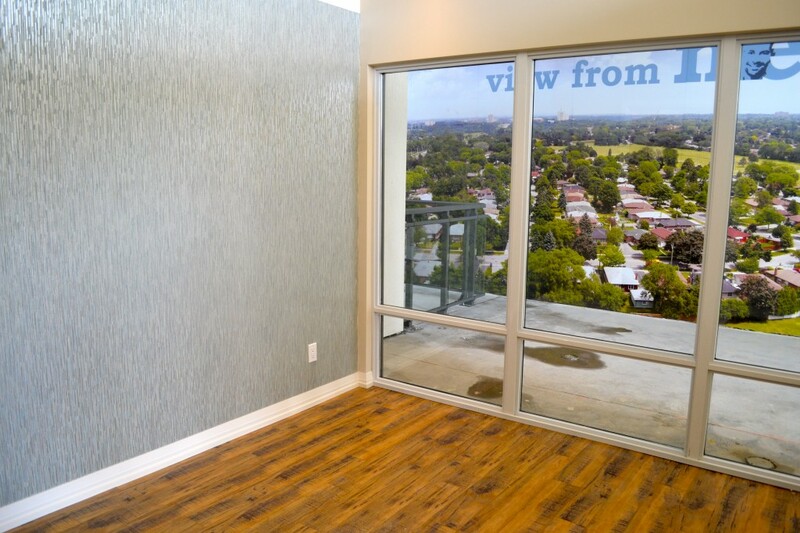 A room with a view, Lash incorporated an actual photo of the view residents will see from their balcony. This hallway is an exact replica of what Me Living’s hallways will look like. Serge is loving the liquid motion tiles. 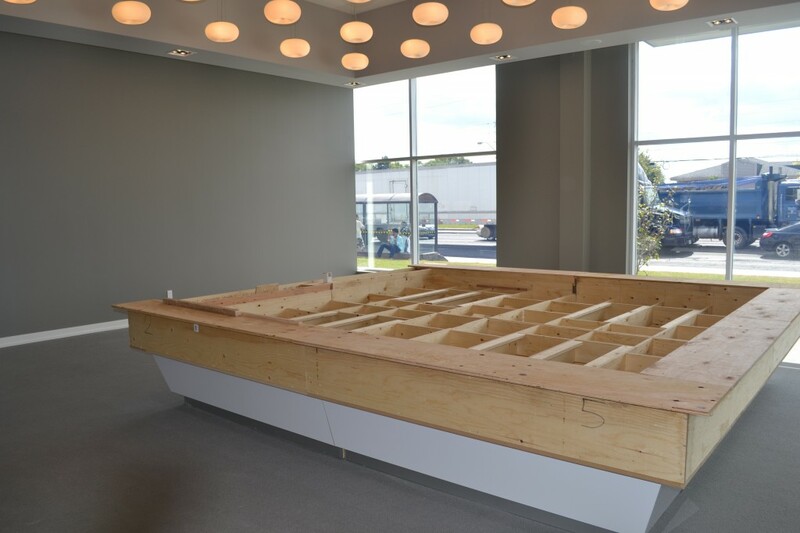 Stay tuned for the last edition of Build to Open when we visit the sales centre for a final time before it opens!